The Vilcek Foundation - Jan Vilcek Receives Honoris Causa to Celebrate! Jan Vilcek Receives Honoris Causa to Celebrate! 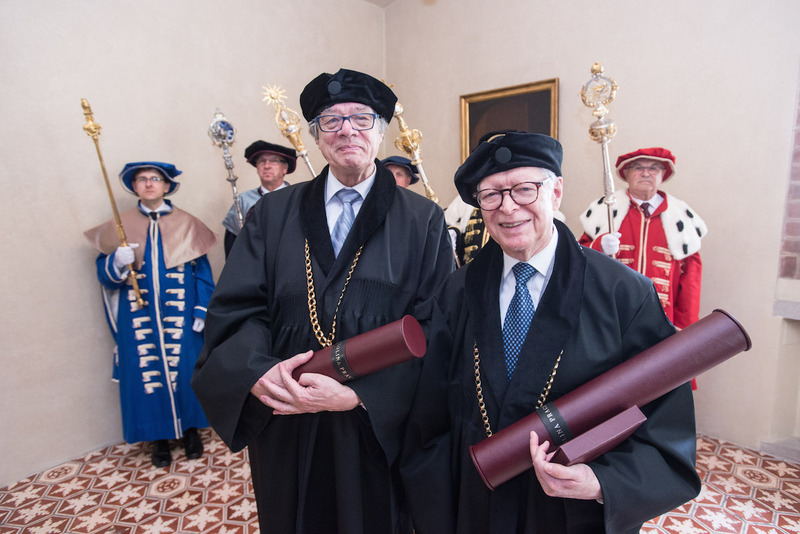 Jan Vilcek, our co-founder and CEO, returned to the city of Prague this week to receive the title of doctor of medical sciences, honoris causa, from Charles University in recognition of his lifelong scientific achievements. At a ceremony on May 16th, Professor Tomáš Zima, rector of Charles University, lauded Jan’s research in immunology and microbiology that lead to novel medical treatments for chronic inflammatory and autoimmune diseases. While a professor and researcher at New York University, Jan discovered the basis for the anti-inflammatory drug now known as Remicade©, which was initially created as a treatment for Crohn’s disease and rheumatoid arthritis; since it was patented in the 1990s, it has now been widely prescribed for a variety of other diseases, such as ulcerative colitis, ankylosing spondylitis, and psoriasis. He has published over 350 papers in scholarly journals and holds 46 U.S. patents. Jan began his career in Prague as a medical student, working in the laboratory of Professor Jaroslav Šterzl at the Institute of Microbiology. Later, he took a job at the Institute of Virology at the Czechoslovak Academy of Sciences, where he published his first scientific paper in the international journal, Nature, on the role of interferon in tick-borne encephalitis—a rare feat for a young scientist, especially one working behind the Iron Curtain at the time. Also being honored was linguist Philippe Martin, professor emeritus at Paris Diderot University. 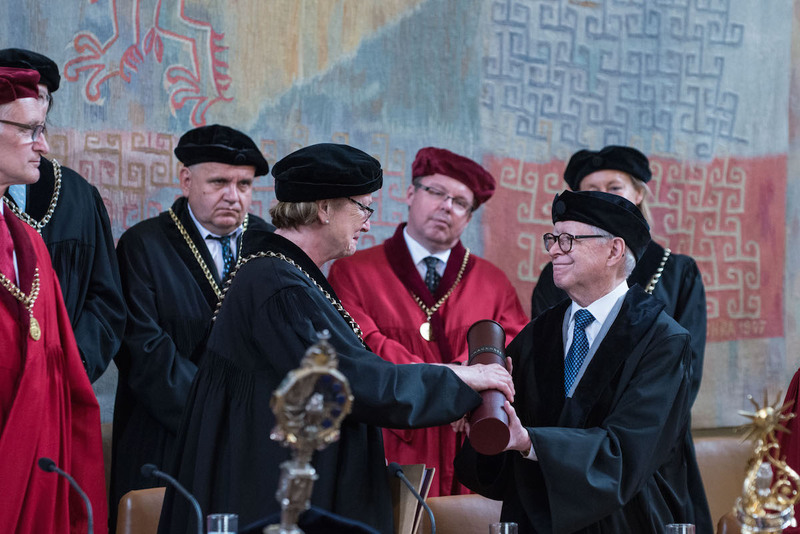 Prof. Martin received the title of doctor of philosophical sciences, honoris causa, for his research on acoustics and linguistics, as well as his role in establishing a partnership between Charles University and Paris Diderot University. Congratulations to Drs. Vilcek and Martin!